IN-lamb Texels sold to 4,100gns at Beeston, where a packed ringside provided a lively trade. Leading lot was the supreme champion, a shearling from the Gib Farm flock of Spiros Spyrou, Hebden Bridge. By Hexel Wildcard and out of a ewe by Deveronvale Superb, it sold in-lamb to Eden Valley Al to Graham Morrison, Banff. At 3,400gns was a shearling from the Ettrick flock of Gordon and David Gray, Selkirk, which was by Ellen Valley Warlord and out of a Sportsmans Unimog-sired ewe. In-lamb to Usk Vale Albatross, it sold in a two-way split between Steven and Janet Symes, Anglezarke, and Steve Richardson, Barnsley. Another Hexel Widcard-sired shearing from the Gib Farm flock sold in-lamb to Anglezarke Uno to A.E. 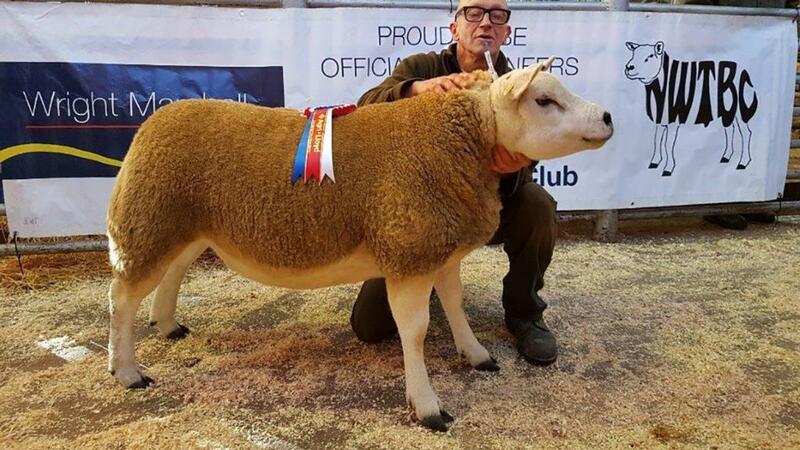 Jones, Carmarthen, for 2,000gns. The ewe lamb section was headed by the second placed lot from Gareth Jones’ Meifod flock, Denbigh. By Arkle You’re In, it was snapped up by Giles Pyman, Cumbria, for 1,000gns. In-lamb ewes, £695.63; in-lamb shearlings, £739.67; ewe lambs, £462.